People with an eating disorder all have an individual journey. At Ellern Mede most of our patients leave us transformed, with the skills they need for a healthy future. There are many wonderful stories of transformation and many go on not only to heal themselves, but heal others. One person who is a former patient of Ellern Mede has given us permission to share the recording of an interview which aired on Ireland’s radio channel RT̕E Radio 1, following another TV Prime Time interview. Emma O’Toole is a remarkable and talented young woman from the Republic of Ireland, who had multiple inpatient stays for an eating disorder to contend with during her teens. She has, over the years, been kind enough not only to stay in touch with clinicians and teachers who helped both with recovery and continuing education at Ellern Mede, but to acknowledge through testimonials and stories and letters to us her acknowledgement that Ellern Mede was important to her recovery. 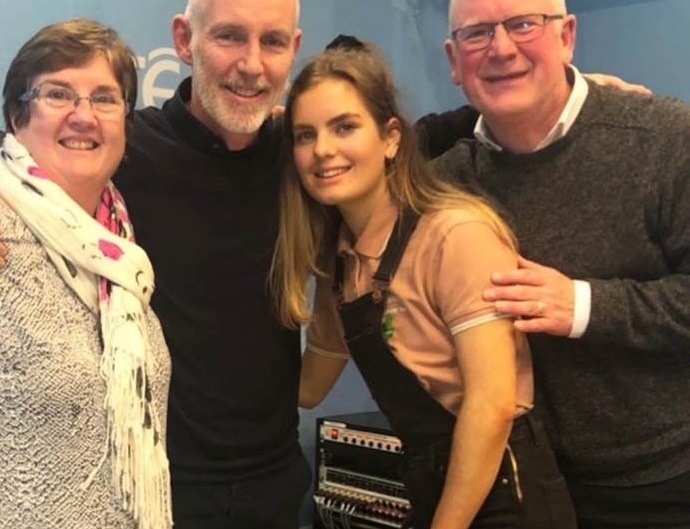 She said so again in the radio interview, accompanied by her parents, in which she shares her recovery story in the hope that other people who may feel lost in their illness will find hope that recovery is possible, provided the specialist help is available. The presenters introduce her as someone who has “had Anorexia, come out the other side, and wants to inspire others and show there’s a way out for anyone”. After many medical visits, the family wrote to their MP in Ireland and soon after, Emma was admitted to a paediatric ward and put on intravenous fluids. Emma thought she would be there for a day. She was there for seven months. There, she received medical care but little mental health care. And the eating disorder took such a hold on Emma that feeling resistant to treatment, she stopped speaking altogether. Then Emma came to Ellern Mede Ridgeway in London, where she said: “the staff there voluntarily have chosen to work with people with eating disorders, unlike general hospital wards. In time, I knew they really cared. Within three months I wrote down on paper ‘Could someone help me speak.’ We all cried. The doctor had my best interests at heart and she told me to choose recovery. In January 2015, her father experienced the joy of hearing his daughter’s voice on the phone for the first time in ten months. Emma said: “I’m in a really good place. It had to be my decision to break free from Anorexia which ruled my life. I knew I was here for more than that and I was not going to let it take any more time of mine.